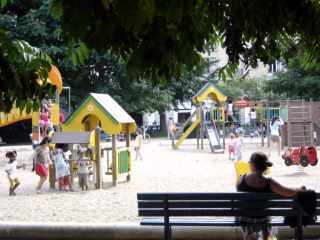 Square Sarah Bernhardt is a quiet neighborhood park created in the 1930s. The charm of this park is in the dense vegetation grown here. 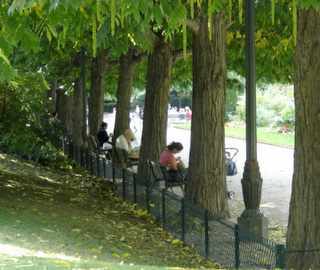 The park is often awarded during summer time garden competitions conducted by the Direction of Parks. In 2003, this Square was awarded a Special Mention for plant research thanks to its mix of rare plants, wild and exotic plants such as plants native to China and Japan, cultivated in France. The park has forsythias, aucubas, poplars, lindens, pterocaryas, Japanese sophoras, sequoias, robiniers and cedars. Also growing here are azaleas, rhododendrons and hortensias. 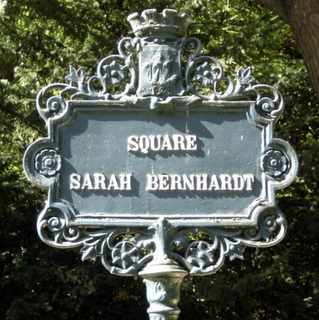 The square is named in honor of the Sarah Bernhardt (1844-1923), an actress of stage and silent film. Convenient, reasonable shuttle into Paris. Driver meets you as you leave Customs. Great reviews.